Will continue with our Father above. Our thoughts of condolence and prayers go out to his family, friends and colleagues. Thank you for your ultimate sacrifice and service to this great country we live in. You will never be forgotten. My prayers go up for your family and those who served iwth you. Far winds and following Seas my brother! We have the watch now Chief! As a LE employee AND a Coastie Mom this truly breaks my heart. 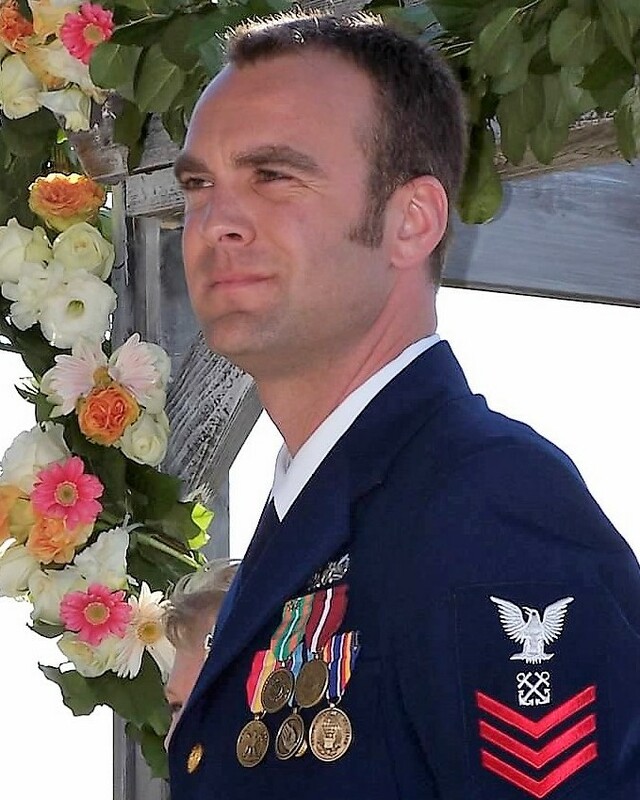 My sincerest thoughts and prayers go to his family and extended Coast Guard family. Thank you for your service. You will not be forgotten. Semper Paratus! Rest in peace Officer Horne! Rest in Peace Chief Petty Officer Horne, may our Lord comfort and protect your family, friends and shipmates at this difficult time. Thank you for your service to our country. Fair winds and following seas Chief. Rest in Peace Chief. You are going to be missed. Thank you for all that you have done for your country, family, and me. I will never forget the fun times at Station Emerald Isle. Fair winds and Following Seas. You served your nation well. Now go through heavens gates and enjoy your life free of pain and suffering, and know that you will never be forgotten. As a fellow serviceman, I have never ending respect for those who give all in the defense of this great nation. You took an oath to protect the United States of America against all enemies, foreign and domestic, and you were doing just that when your life was cut all too short. Your service will never be forgotten, nor will what you do for our freedoms be taken in vain. Rest in Peace, God bless. You've served with honor & distinction and have made the ultimate sacrifice. Our deepest condolences to your family and your colleagues. Rest assure, your service and sacrifice will NEVER be forgotten. May you rest in peace. Rest in peace my brother. Our thoughts and prayers are with you, your family and the United States Coast Guard Office of Law Enforcement. My thoughts and prayers go out to the family, friends, and co-workers of this brave man. "In Valor There Is Hope"
My sympathies go out to Chief Petty Officer Horne and his family. Thank you for your service and dedication to your profession. I only hope that we learn that we cannot be soft on these criminals and terrorists because they will never be forgiving. The ultimate sacrifice for your country the ultimate loss for your family. My prayers and sympathies to your family, wife, child and the child that will only know you through stories, pictures and memories. As the mother of two coasties there are no words to express the depth of my sympathies to you. RIP Chief Petty Officer Horne!!!! May you rest now in God's loving arms and God Bless your loved ones left behind!! Our thoughts and prayers are with Chief Horne's family. It was an honor to serve with a professional like you Chief. We've got it from here R.I.P. You inspired others to do well.